PwC is one of the largest professional services firms in the world, with nearly 200,000 employees and annual revenues exceeding $34 billion. And yet, many people still see them as just an accounting firm, despite its large investments into business consulting and other industries. Therein lies the problem – obviously, the firm needs to hire diverse talent to meet the needs of their business, including hiring more tech professionals for the IT consulting business. But, if the technology workforce only sees PwC as an accounting firm, or doesn’t know them at all, how is the company going to attract that top talent? Well, Sondra Dryer, PwC’s director of recruiting marketing, has come up with a bold solution – the new PwC webpage CareerAdvisor. Essentially, the site is a place people can go for career advice, featuring tools such as personality tests, training on how to write a resume and assessments that determine what jobs are best for you. 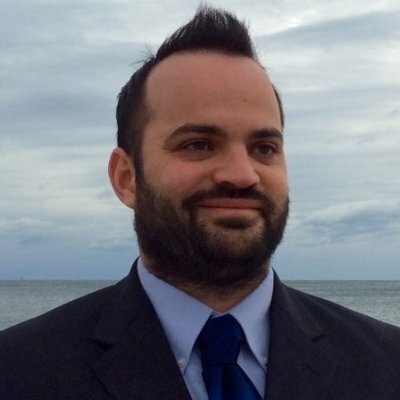 That said, PwC recruiters do not use the site to source candidates, nor does it push users towards jobs at the firm. The goal instead is to provide as useful and authentic of a tool as possible, which people will have a genuinely good experience with, Dryer said. So what is CareerAdvisor exactly? One of Dryer’s primary tasks as director of recruiting marketing at PwC is to spread the word of the firm’s employer brand outside the accounting realm. One of the main areas the company looks to build that awareness is at colleges and universities. Couple that with PwC’s longtime investment into professional branding for its own people and the idea for the CareerAdvisor website was born. For eighteen months, PwC worked with an outside agency to build the site, with the goal of making it as all-encompassing as possible. “This is all about helping someone identify what their strengths and interests are, so they can select the right career path,” Dryer said. Assets in “assess” include personality tests, a tool that builds your “passion profile” and another that uncovers your strengths and weaknesses. “This section is about how someone identifies the right resources so they can start their career search,” Dryer said. Assets in “maximizing” include advice on how to be as efficient as possible, guidance on how to get a mentor and a page dedicated to making you a better communicator. “You need to organize yourself, so this sections helps you know your prioritizing yourself and pursing the right opportunities,” Dryer said. Assets in “prepare” include a workshop on building a personal toolkit, advice on how to write a cover letter, advice on how to write a resume and guidance on optimizing your LinkedIn profile. “This shows you how to you strengthen your personal brand, so you are standing out from the competition,” Dryer said. Assets in “present” include confidence-boosting tips, advice on how to use feedback and guides on building lasting work relationships. 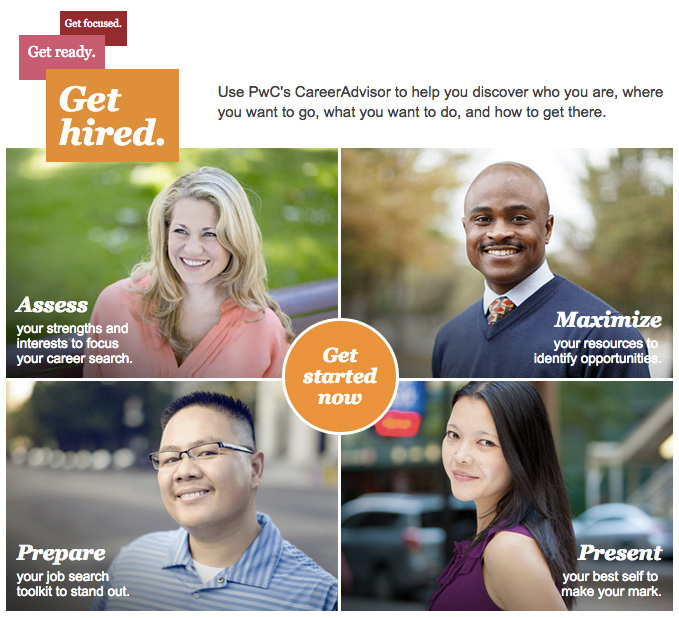 In January of this year, PwC’s CareerAdvisor went live. And the goal was to first attract the audience most craving of career advice, college students. To do that, PwC’s college recruiters reached out to career centers at the college campuses they cover and told them about the program. Most career counselors become immediate ambassadors for the site, as they put up postcards advertising it and encouraged their students to use the tool, Dryer said. Some of those same college recruiters also held workshops with students on how to use the site to help their career journey. Additionally, PwC did some digital and social media advertising promoting the site, marketed it on digital school boards and embedded a link to it into their recruiting collateral. Specifically, 27,500 people used the CareerAdvisor site in May, the last month college was still in session, according to Dryer. The goal is to see that number grow in September, when school comes back in session, she said. Additionally, hiring managers have unexpectedly started using the tool for onboarding as well, she added. The goal of CareerAdvisor is not just to be a college recruitment tool, although that will certainly always be a major focus of it, Dryer said. The goal is for people of all ages and industries to use it, and for it to be used within PwC as well, she said. To make that happen, Dryer said the site needs to be continually updated with the newest tools and advice, so it remains relevant to users. Additionally, she said she’d measure what sections are more popular than others, and then put even more energy towards improving those. The key metric will always be how many people are using the site, as CareerAdvisor isn’t necessarily just a form of recruiting marketing, Dryer said. It should also help establish PwC’s brand in the marketplace.